“Arise, shine” (Isa 60:1). According to the prophecy of the Bible, two churches were established, and the dedication services were held. They are the Hyeongok Church in Gyeongju and the Jinyeong Church in Gimhae. 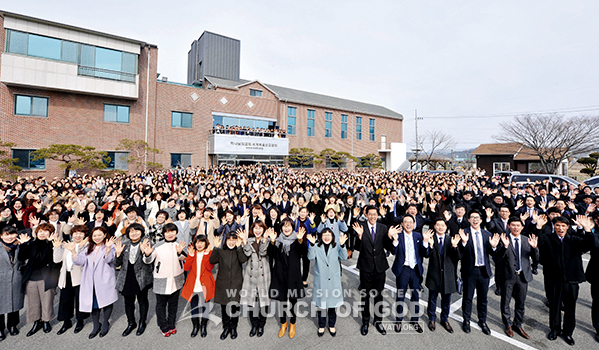 On February 19, the first dedication service in 2018 was held at the Hyeongok Church in Gyeongju. Two days later, on February 21, the members of the Jinyeong Church in Gimhae enjoyed the pleasure of having the dedication service. Following last year (when the Gyeongju Church and the Naedong Church in Gimhae were established), the members of the two regions once again had the blessing of establishing churches and thanked God deeply, drawing up great gospel plans for 2018 with a grand hope. Mother blessed more than 7,000 churches all over the world as well as both churches, and encouraged the members who labored until the new temples were built, saying, “Father will grant more abundant results to those who unite with each other and work hard.” She earnestly asked them to walk the path of faith to the end, remembering the value of eternal kingdom of heaven and the love of God who has sacrificed for a long time for the salvation of mankind, even if there are some difficulties due to prolonged financial difficulties and disasters. 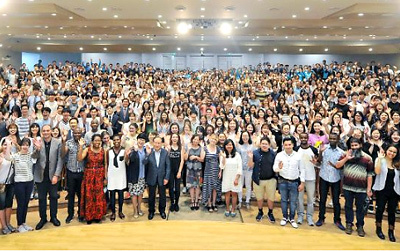 General Pastor Kim Joo-cheol expressed his gratitude to the members who worked hard in establishing the churches, preaching the gospel, and volunteering. Emphasizing the role of the church that shines the light of salvation, he said, “God has established Zion to skim the spiritual darkness off the world and to let us distinguish the truth from falsehood. When we please God, who manages all things, we can fulfill the gospel work in all circumstances. Let us accomplish our mission with faith that everything is possible since Mother has blessed us” (Isa 66:7–8; 1 Jn 1:5; Isa 60:21). 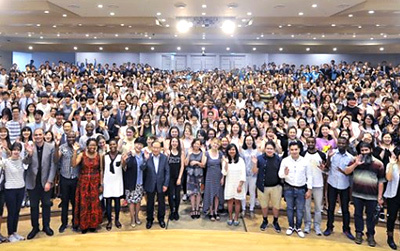 As the number of the members rapidly increases, the Church of God, which continues to build churches even in towns and villages, will hold dedication services in Seoul, Incheon, Taebaek, Cheorwon, Uijeongbu, Osan, Jeonju, and Seosan as well as in Wonju, the gateway city for the Winter Olympics. It is located in Gyeongju that has clean air and clear water. The three-story church with a solid exterior is visible at a glance even from a far distance. A variety of facilities such as a decent cafeteria for a cup of tea and a playground for children are all there to provide convenience to local neighbors as well as the members. It is close to the Nawon Station and the Seogyeongju Station along the Hyeongsangang River flowing near the church. If you cross the Geumjanggyo Bridge near the Hyeongok-myeon Office, you can reach Gyeongju Arts Center, Hwangseong Park, and Gyeongju City Hall. The members are leading volunteer services by helping the underprivileged with goods in cooperation with the local governments and by participating in the free meal camp for Pohang earthquake victims. “We’d like to inform those who are anxious due to successive earthquakes in Gyeongju and Pohang of the Passover that contains the promise of salvation,” said the members. 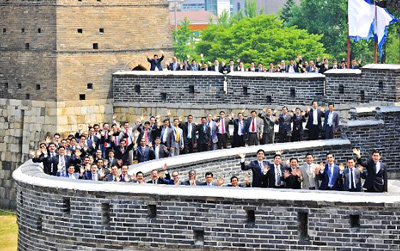 The members of the Hyeongok Church in Gyeongju smile brightly after the dedication service. It stands out with its three-dimensional structure and harmonizes with its quiet and orderly surroundings. The inside of the church, filled with white and yellowish green colors, gives a warm and refreshing feeling to visitors.